This is the first installment of our "What We're Reading" posts, where employees and friends of the Great Books Foundation comment on books they've read recently. Our first post is by Sharon Crowley. Sharon works in the K­12 marketing department at the Foundation. 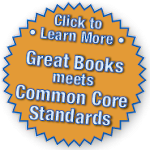 I can’t recall the last time I was asked, “What is that book about?” and I didn’t have a satisfactory response I felt gave the author adequate justice. 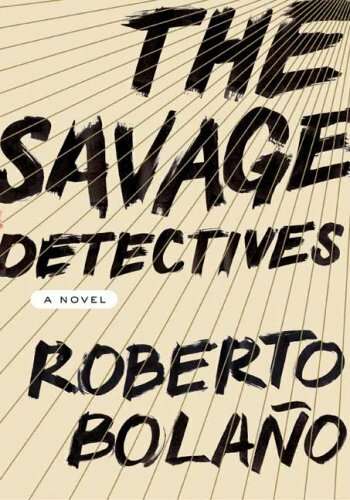 But while reading The Savage Detectives, a meandering, massive, lyrical novel by the late Chilean writer Roberto Bolaño, I not only didn’t have an adequate reply, I was struck by how answering an often-asked question can diminish a masterful work. Part diary, part oral history, The Savage Detectives tells the story of two rebellious, roving young poets, Arturo Belano (Bolaño’s alter ego) and Ulises Lima, who start a literary movement (they call themselves the visceral realists) in Mexico City in the early 1970s. We first meet the protagonists through journal entries of a third poet, the impressionable, deadpan seventeen-year-old Juan García Madero, who chronicles the entertaining, and often painful, idealistic, intense, and self-inflicted drama of the poets’ lives. After 120 pages, the book changes form, and the next 400 pages contain the recollections of more than 35 narrators who encounter Belano and Lima during their years traveling to Spain, Israel, France, the United States, Guatemala, and Liberia. From a less gifted writer, so many voices would produce a cacophony that would send readers reaching for another book. But with Bolaño’s imaginative mastery, so many perspectives, so many tones and cadences of speech, not only engage the reader, they create a momentum that sustains—whilerecollections shift from hilarious to heartbreaking, from adventurous to banal. The Savage Detectives is fragmentary and often difficult to read. The novel goes on longer than perhaps necessary, but in that it imitates situations we wish would pass already: onlyin hindsight do we realize the slower passing impacted us in more meaningful ways. The novel contains many references to Latin American literature and politics that are foreign to me, but my unfamiliarity didn’t feel like a burden, as it can when reading other authors. Instead I felt like a student learning about subjects that were made interesting by the characters teaching them. How Bolaño manages this is lost on me. So besides the story of wandering poets, what exactly is The Savage Detectives about? I still can’t answer that question in a way that satisfies me. Some people might think not being able to answer the question means a book is not worth reading, but I think the opposite. Reading The Savage Detectives tangled my mind (in a good way!) with a plethora of words, images, and voices, and trying to untangle them feels antithetical to the elegant lyricism of Roberto Bolaño.